The 2015 PBA Commissioner’s Cup quarterfinals may not include SMB after they lost to TNT tonight, while NLEX padded its chances after deflating the Kia Carnival. The NLEX Road Warriors kept their winning run going after stomping expansion team Kia, 102-86, to clinch a fifth consecutive PBA Commissioner’s Cup victory on Wednesday at the SMART-Araneta Coliseum. NLEX outscored Kia by 19 points in the fourth quarter, 33-14, as they ran away with the victory despite trailing by as many as 11 in the third period. 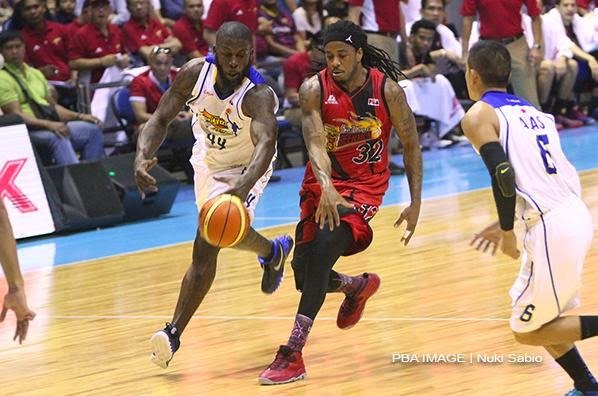 Al Thornton, who finished with 33 points and 14 rebounds, did not have the gaudy numbers of Kia counterpart PJ Ramos, who had 41 points and 23 rebounds, but it was more than enough in this one with several of his local teammates stepping up. Jonas Villanueva scored 20 points alongside four assists, four rebounds and four steals, while Mac Cardona added 16 points off the bench. Rudy Lingganay also chipped in 12 points, while veteran center Asi Taulava had a double-double with 10 points and 10 rebounds. The Road Warriors improved to 6-4 and climbed to within striking distance of the league leaders. Purefoods sits atop the standings with a 7-3 mark while Meralco, Talk ‘N Text and Rain or Shine are all tied for second to fourth places at 6-3. Kia dropped outside of the top eight with a 4-6 record. No other member of the Carnival scored more than 8 points. Line of the Game: Peter John Ramos (KIA) - 41pts, 23rebs, 3blks, 1ast, 16/29 FGs. 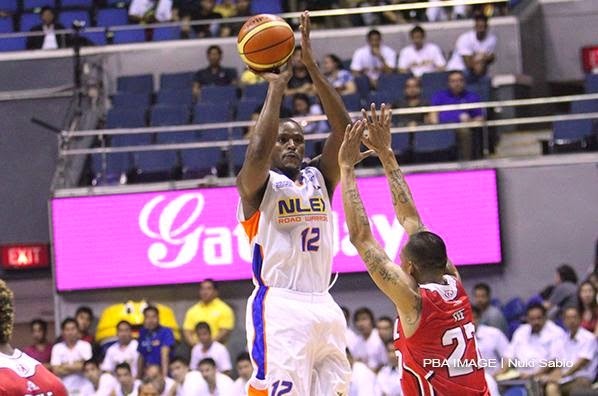 Al Thornton has helped NLEX win its last five games. 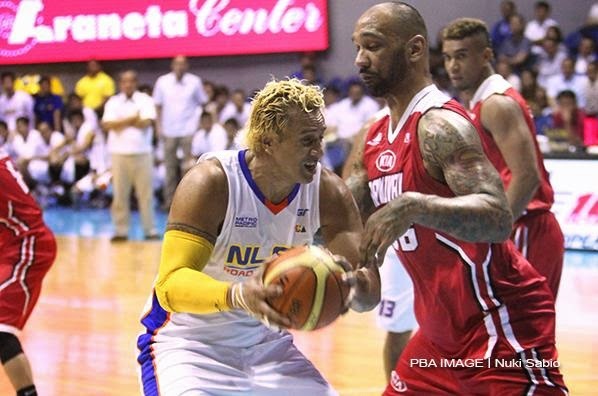 Asi Taulava had his hands full going up against PJ Ramos. Hans Thiele goes up strong against former collegiate teammate Mark Borboran. 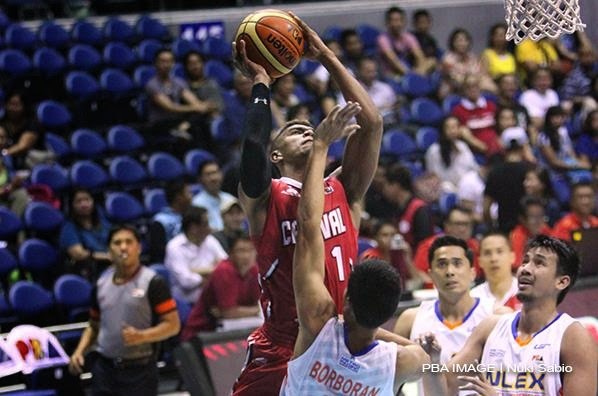 The Talk ‘N Text Tropang Texters put together an impressive performance in a rout of rival San Miguel, 113-93, in a crucial PBA Commissioner’s Cup clash on Wednesday at the SMART-Araneta Coliseum. Talk ‘N Text (7-3) grabbed a share of the lead in the standings, tying Purefoods while dealing a serious blow to the playoff hopes of San Miguel, which dropped to 3-7. Import Ivan Johnson had 41 points, 19 rebounds, and 5 steals, while Matt Ganuelas-Rosser added 22 markers to lead the Tropang Texters. 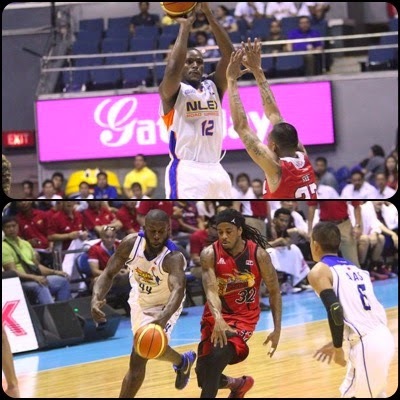 Ranidel De Ocampo added 17 points, and Larry Fonacier chipped in 12. 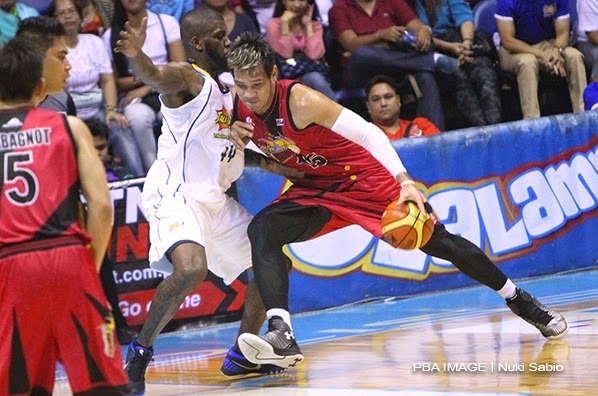 Arizona Reid had 32 points and 17 rebounds to lead the Beermen, while June Mar Fajardo added 20 markers. Arwind Santos finished with just 7 points in 29 minutes of play. He left the game early to attend to his mother, who was rushed to a nearby hospital from the arena during the third quarter of the game. Johnson already had a double-double of 18 points and 10 boards at the half, while Ganuelas-Rosser had 12. The pair combined to shoot an impressive 12-for-19 (63.2%) in the first two periods. The Beermen are in danger of missing the Commissioner’s Cup playoffs with only eight teams qualifying for the quarterfinal round. San Miguel is in 11th place, ahead of only expansion team Blackwater (2-7) in the standings. Line of the Game: Ivan Johnson (TNT) - 41pts, 19rebs, 5stls, 1blk, 1ast, 16/24 FGs. Imports Ivan Johnson and AZ Reid hustle for the loose ball. 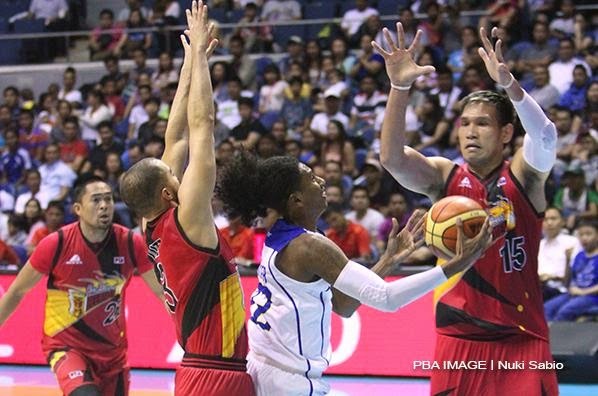 June Mar Fajardo barrels into the defense of Ivan Johnson. Matt Rosser tries to split the interior defense of Chris Lutz and June Mar Fajardo.